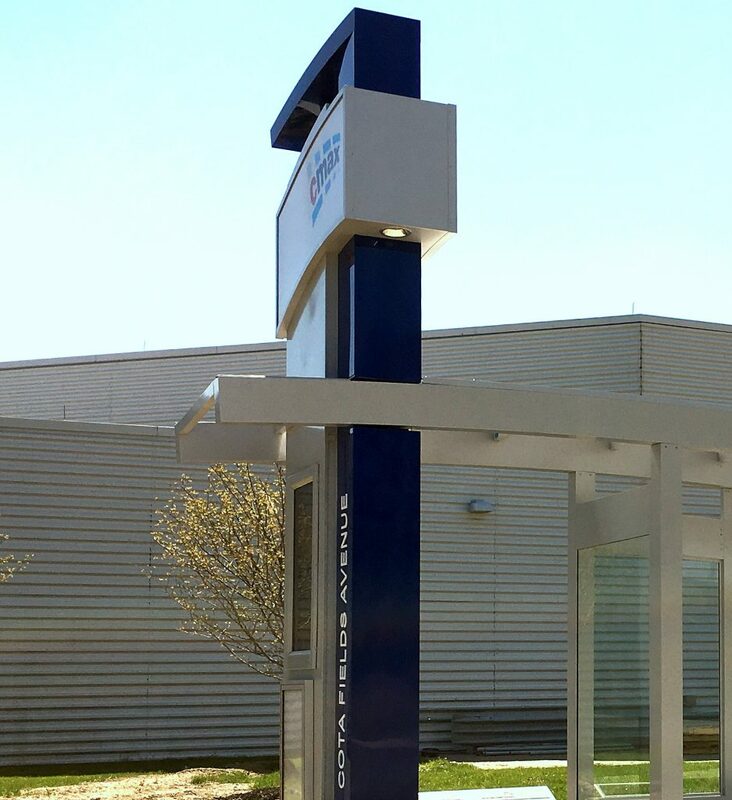 Brasco offers engineering design and fabrication for custom bus shelter totems, markers and pylons that can be illuminated or unlit, and made from steel and aluminum. Features to consider in a marker design are map displays (lit or unlit), accent lighting including up-lighting, down-lighting and back-lighting, Digital signage, LCD screens and logo/address applications. Here we feature our design for Central Ohio Transit Authority’s 2017 Bus Rapid Transit (BRT) line. 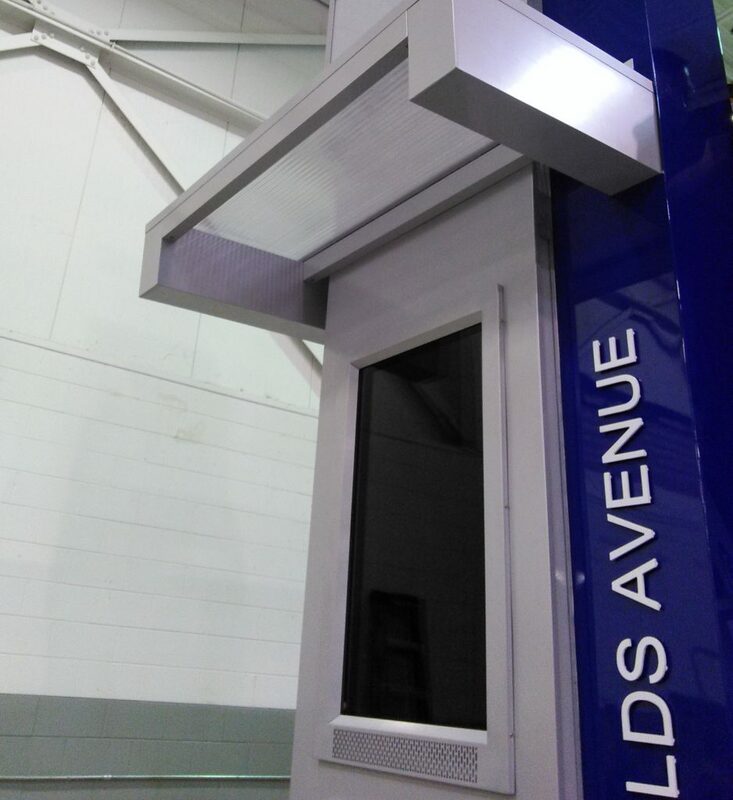 The shelters included an 18’ tall marker with illuminated logo, up-lighting, backlighting, down-lighting, and LCD screens. 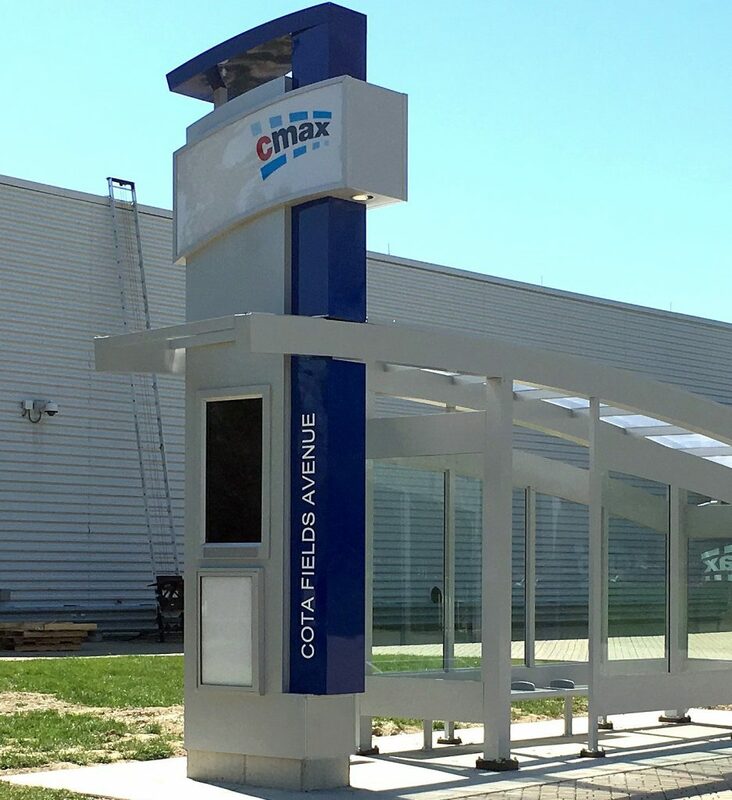 The marker’s frame is constructed of steel and skinned with top grade powder coated aluminum.